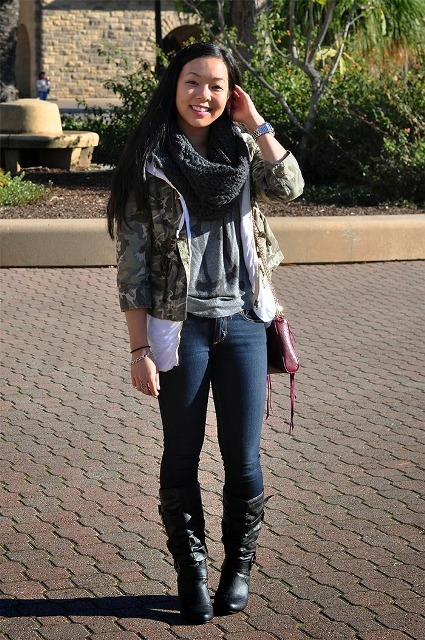 I think that mid calf boots are one of the most popular shoes for fall and winter seasons. They look gorgeous but still comfortable to wear and very easy to combine with clothes and accessories. If you haven’t bought them yet, don’t waste your time and find your perfect pair cause, believe me, they will never go out of style! Mid calf boots are taller than ankle boots but not as tall as knee-high ones. You should know that their length creates a horizontal line that can make your legs shorter. To keep body proportions and elongate your legs visually you should prefer high heeled boots or at least low or mid heeled ones. After that you should pick up material and color of your boots. For more comfy and cozy looks you can take suede boots, of more official outfits — leather ones. Of course, color choice will depend on your clothes and wishes, but the most common fall colors for shoes are black, brown, marsala and gray. 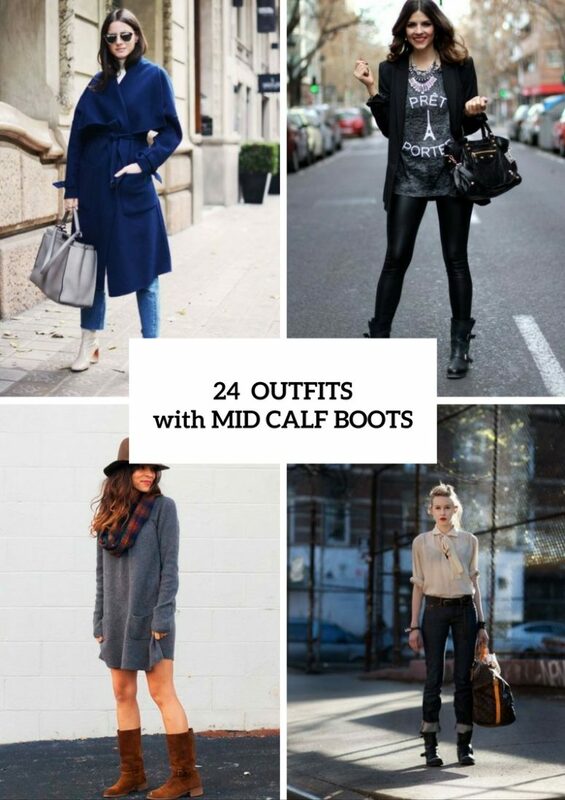 Now let’s find out how you can make your looks more stylish with mid calf boots. The easiest way is to pair them with skinny pants or jeans tucked into them. You can also add a shirt or loose sweater to this outfit, a jacket or mini or maxi coat and an oversized scarf. If you like rock’n’roll style, find black boots with straps and buckles and combine them with black pants (for example, leather ones) and a leather jacket. 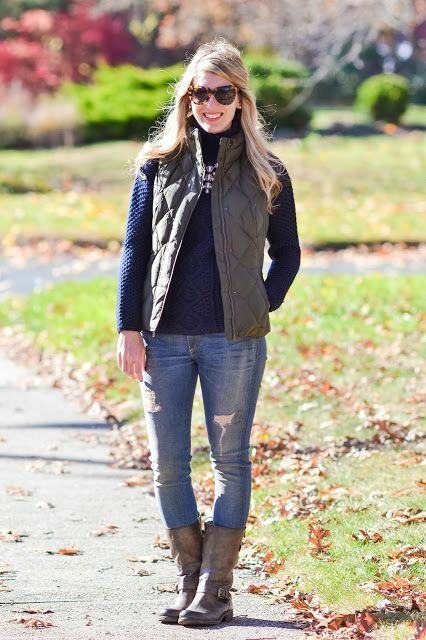 For more fashionable looks wear a knee-length coat and cuffed jeans over the boots. 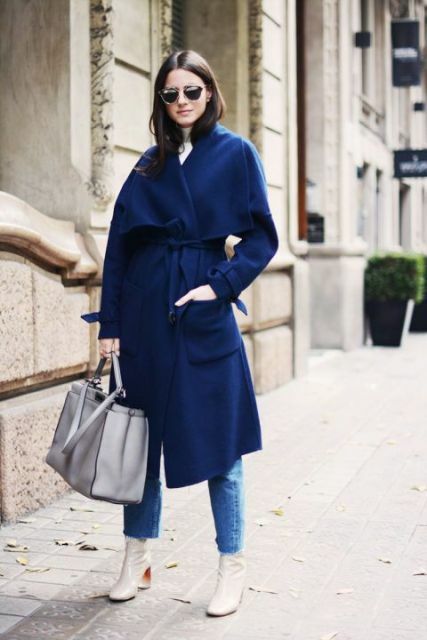 If you’re a big fan of dresses and skirts, then pick up mini loose dresses or mini straight skirts, but you can take knee-length dresses or skirts with a fitted jacket or long cardigan if you have heeled boots. And don’t forget to experiment with colored or printed tights. For more ideas look below. Enjoy!